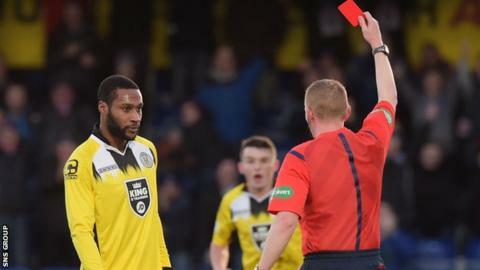 St Mirren striker Yoann Arquin's red card against Ross County has been downgraded to a booking. The Frenchman's Buddies debut lasted just 38 minutes as referee Brian Colvin sent him packing against his former club for a challenge on Lewis Toshney. St Mirren appealed against the decision, allowing Arquin to play in Wednesday's draw with Dundee United. A Scottish FA fast-track panel took the view that the player merited a "caution for recklessly dangerous play". Despite Arquin's dismissal against the Staggies, St Mirren prevailed 2-1 on 17 January.